The Port of Barcelona, already the busiest cruise port in Europe, is going to get bigger. Carnival Corp. & plc plans to spend €20 million (about $27 million) on a new cruise terminal at the Port of Barcelona. Carnival and the port reached an agreement to build and operate the new 108,000-square-foot Terminal E on the Adossat wharf. The new facility will be able to turn-around post-Panamax cruise ships accommodating up to 4,500 passengers. “This investment aims to meet the industry’s future needs to provide service to increasingly large ships that also have Barcelona as their turnaround port for routes around the Mediterranean,” said Port of Barcelona officials. In 2005, Carnival Corp. financed and built an existing terminal, known as Palacruceros or Terminal D, on the Adossat wharf. Carnival also operates the terminal. This terminal will be enlarged with the addition of a single-story, 14,000-square-foot building. The Port of Barcelona will invest €3.5 million (about $4.7 million), including €2 million on urban development work around Terminal E and €1.5 million on improved signage on the Adossat wharf. Carnival will manage Terminal E, which is expected to begin operating in 2016. Barcelonais the top cruise port in Europe and the Mediterranean and ranks fourth worldwide, after the three main ports in Florida. 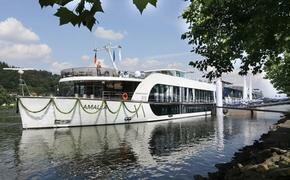 Forecasts for 2013 indicate total annual passenger numbers of 2.6 million cruise-goers. The Barcelona Tourist Office said the economic impact of cruise passengers in 2012 was nearly €300 million.